Many fathers who are not or were never married to their child’s mother may think the likelihood of them obtaining custody is slim to none. 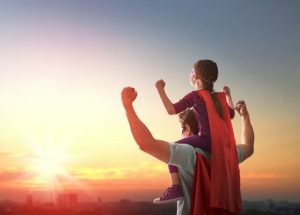 The truth is unwed fathers can gain custody of their children through a suit affecting parent-child relationship, also known as SAPCR. SAPCR is also commonly referred to as a paternity suit. Petitioning the court for a paternity suit is the first step unwed fathers need to take to obtain custody or visitation with their children. The outcome of the paternity suit, however, is not based on a procedure but more on many factors that a judge considers throughout the case. Judges look at a wide array of factors, most notably the relationship the father has with the child and any parenting concerns the father has regarding how the child’s mother is caring for or raising him or her. These factors play a major role in how the judge decides the case and whether the father gets the outcome he hopes for. When an unwed father files a paternity suit, he is petitioning the court to provide him with access to his child, which is based on the idea that contact with both parents is within the child’s best interests. In this petition, the father can request custody, visitation, or both, but it is important to note that custody and visitation are not the same thing. Once the petition has been filed with the court, the father needs to ensure that the child’s mother is served with a notice that a petition has been filed. Fathers will want to hire an attorney to help build their custody case. If fathers have any concerns or evidence that the mother is improperly parenting the child, it is important they inform their attorney of these facts, including reports of neglect, any cases with child protective service agencies, or evidence of unfit behavior. If the mother does not have any negative parenting attributes, the father may want to consider petitioning the court for visitation as a backup plan. Depending on the circumstances of the case and the evidence presented, the judge decides on the father’s petition. The father’s request for custody or visitation will either be granted, denied, or some compromise will be made between both parties. It is important to know there is no such thing as a “final decree” when it comes to child custody issues – there is always an opportunity to have child custody agreements modified or changed depending on the circumstances of the case. do you have any support group recommendations for fathers going through custody battles? My brother is dealing with a very manipulative and damaging female and uses the baby as a pawn. Judge has sided with her on two different visitation/custody orders. I am not a father but I support their rights,if a man is willing to stand up and do whats right, he should be allowed and given credit. I have helped my boy friend rais his son for 7 years and now the state of Oklahoma gives our son to a mother who refused to care or help support him. this chick attacked me physicaly in my home twice and I still let her in to see her son that we raised. She is only after a power hype over the dad because of her obsession with him. now the state of Oklahoma, Pushmataha county, has given her our son not knowing the full situation and falsifying documents against the dad. My family has helped provide Christmas, birthdays, and school clothes and supplies. She never did, for seven years. this state is so pathetic that attorneys wont even help him with his case even though they are listing themselves as fathers rights lawyers!!!!!!!!!!!! Get a lawyer they will file a notice of service to the mother regarding your paternity to the child. Save your money and hire someone to stop her because if you have gotten your rights as the parent to him she will look really bad because she’s withholding visitation from you. You can also look to a Court Appointed Attorney and see if they offer lower prices for their services. I put out around $6000for 50/50 custody for my unmarried son who got a girl pregnant and told him he would never see her, now we get her 3 1/2 days a week, Court Ordered. Good luck to you but remember you have rights to see him! Make note of the days you should have had your son. A great way to do that is calling the non emegent police line and having an officer just make an offense report on the issue. An officer will come out read the order and then give you a report number. Go pick up the reports. Then go file a contempt of court order form at the court house. This forces the judge to see the case again and redue the order. It can even give you the right to your son and give her visitation. You must have solid evidence and not just your word on the issue. I am not married and have been with the mother of my kids for 10years we have two kids. We are getting separated and I want the kids to move with me because I have the same hours of work as they do in school, I’m a teacher and they are both erolled in the school I work. The mother works a job we’re she closes the store a 2pm-12pm job. I told her the best thing would be that the kids stay with me and every time she has a day off or wants to take the kids to school or pick them up she could. But for the most part to stay at my new place to keep the same routine and facilitate me to take them to school and pick Them up because 5 out of 7 days a week she is not around. Am I doing the right thing? Am I able to do that? Can she deny that verbal agreement we got to? I’m from Florida also and unmarried and 12 years my x took my son and went to Ky under Florida law the mother of an unwed couple has custody of the child bottom line! Well I moved to Ky and have been paying child support for 12 years and no money to spare for another battle I have yet to see my son in 12 years and just recently she now wants me to say it is ok to change his last name but not relinquish parental rights which obviously the only right I have is to pay child support so hang in there! My number is 8703734242, I pray you can help. You should listen to the courts. Sorry, but your grandson is an addict and it sounds like he’s been clean, at most, for a few months. That’s nowhere near enough time to ensure that he is committed to staying sober and is fit to raise a child. Instead of worrying about your grandson, maybe you should try actually worrying about your great-granddaughter and keep HER best interests in mind.